Writing about portable chargers isn’t always as easy as it seems. After a certain point they all tend to sound about the same. Capacities might differ and some may be a little more outwardly attractive, but they’re largely similar. In short, they’re little bricks or platters that we carry around for extra juice. 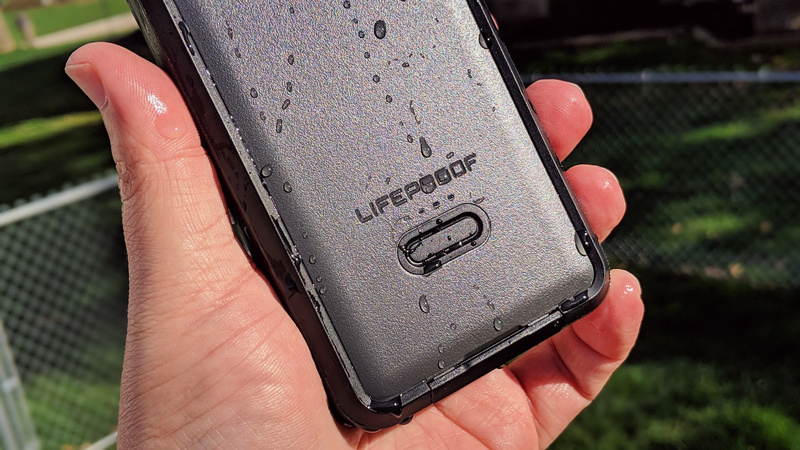 Imagine our pleasure when we had the chance to test out the LIFEACTÍV Power Pack 10 from Lifeproof. 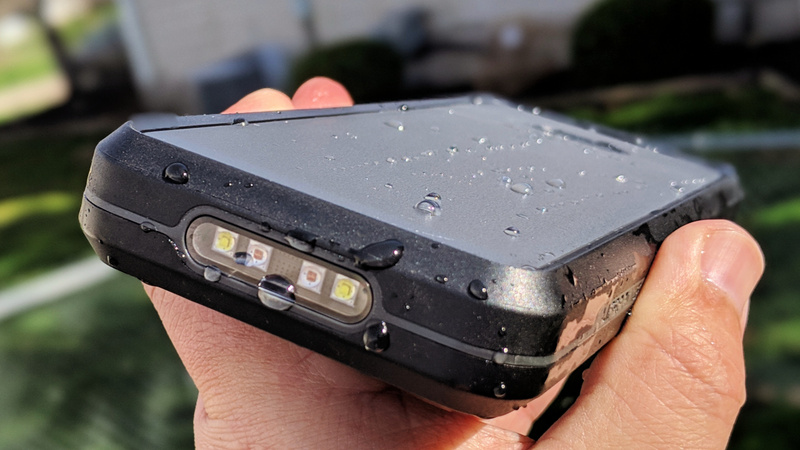 Yes, the same brand that provides waterproof, dirt proof, and drop proof phone cases is doing the same in the portable power supply space. Indeed, the LIFEACTÍV Power Pack is the sort of power bank that’s designed to go everywhere you go. Whether that means heading to the beach, on a hike in the woods, or sitting out back at the barbecue pit, it’s built for most environments. With 10,000mAh worth of battery, there’s enough to charge up most flagship phones three times over. And not just by plugging in through a USB port, either. This one also features support for Qi-equipped phones. Of course there is a USB port for those who would rather plug in directly, too. Other details found in this charger include automatically stopping charge when devices reach 100 percent, an LED flashlight, and four LED indicator lights. You’ll always know just how much gas is left in the tank. Oh, and the handy wrist strap means you won’t accidentally drop this one because it’s covered in water or snow. If you pay attention to cyber threats, you know they are more commonplace with every passing day. We employ thousands of government employees for the NSA and even they can’t keep our information secure from hackers. In, fact, we bet you can’t go more than a few days without hearing the words hack, breach, or leak. One step you can take to improving your personal internet security is through a virtual private network. It’s a method used to keep your sensitive data secure by replacing your IP address with one hosted by the VPN service. You can get an IP address from any location in the world using this method. Beyond securing your information, if you travel overseas you might be limited in the sites you can access like Facebook and Netflix depending on where you go. A VPN allows you to maintain access to all sites you use in the US. The AndroidGuys Deals Store has a bargain – a lifetime account to a VPN service at 96 percent off. Internet threats are a real thing – and surfing the Web on a public connection can result in your personal data falling into the wrong hands. This deal offers you a lifetime of protection so you can explore the internet worry-free. Get Ivacy VPN, and you’ll get a cross-platform VPN service you can trust. VPNs are not just for security, either. You can also use them for privacy, too. Did you know you can get into torrenting and file sharing without your internet provider keeping an eye on you? When most people hear VPN they think of computers and laptops, but there’s so much more. Indeed, there’s compatibility with mobile devices, Roku, Raspberry Pi, game consoles, and more. If you’re ready to take web browsing more serious, you’ll definitely want to consider the lifetime subscription to Ivacy VPN. Worth hundreds of dollars, AndroidGuys readers can get their hands on a license for only $39. That’s a small price to pay for years and years worth of peace of mind. For every $25 you spend in the AG Deals Store you get $1 credit added to your account. And, if you refer the deal via social media or an email that results in a purchase, you’ll earn $10 credit in your account. If this is your first time buying, you are also eligible for 10% discount! Just be sure to subscribe for email updates. Not looking to spend any money today? No worries. You can still visit the AndroidGuys section for freebies and pick something anyhow. OnePlus will introduce at least two models of phones on May 14 in what the manufacturer indicates will be its most ambitious launch event. The company plans to debut the 7 series of phones in a coordinated event that takes place in multiple cities around the globe. 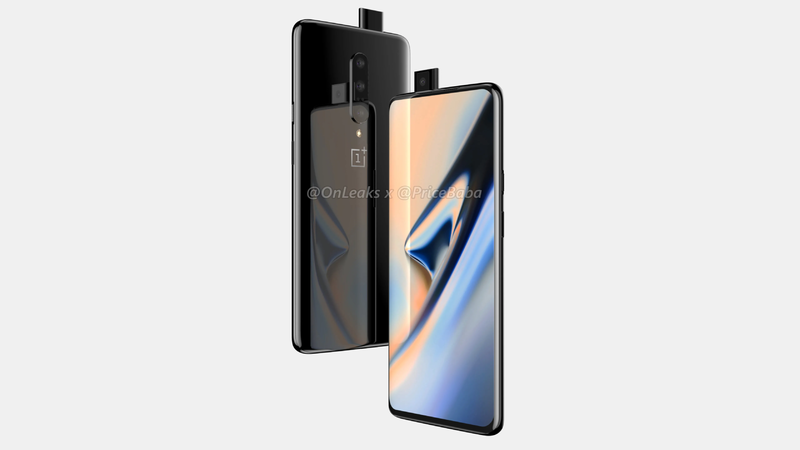 With but a few weeks to go before they formally arrive, there has been no shortage of rumors for the so-called OnePlus 7 and OnePlus 7 Pro. Reportedly, the OnePlus 7 will feature a massive 6.4-inch display with a water drop cutout display and pack a 48-megapixel rear camera. It’s alleged that a secondary camera will be included but the specifications are not clear. 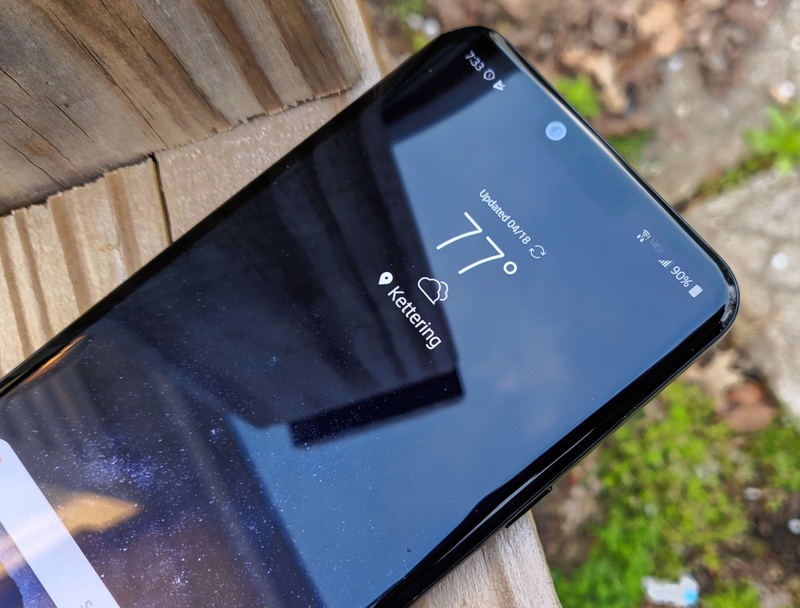 As for the OnePlus 7 Pro, it’s suggested that it will have a screen size of 6.64-inches or 6.67-inches with curved edges. Rather than two cameras, this one could have three sensors with a 48-megapixel main sensor, a telephoto lens, and an ultra-wide camera. Interestingly, the 7 Pro is expected to have a a pop-up selfie camera which eliminates the notch in the display. Also of note, it should feature a “breakthrough” display which has been rumored to have a 90Hh refresh rate. It’s not all rainbows and puppies, though, as the OnePlus 7 Pro doesn’t look to include wireless charging. A 5G variant of the 7 Pro could also make its debut as part of the announcement. Because it isn’t content to do things the traditional way, OnePlus will offer tickets to eager fans who would like to see the introduction of the phones in person. The largest of the simultaneous global events will take place at Pier 94 in New York City. According to OnePlus this will be the largest event it has held to date. A separate event will take place in China two days later. Tickets to the New York event go on sale April 25 where they will be sold for $20 to early bird buyers. Tickets to the London gathering will run £16 / €18 but both are expected to sell through quickly. Once sold, the general admission tickets will be offered at a higher price. 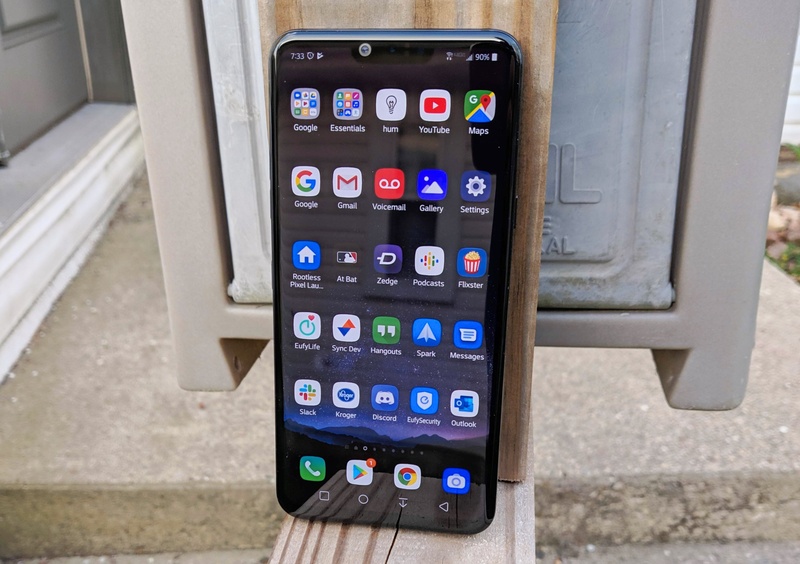 LG is back again with another iteration of its “G” series, with this year seeing the launch of the G8 ThinQ, the company’s early year flagship. 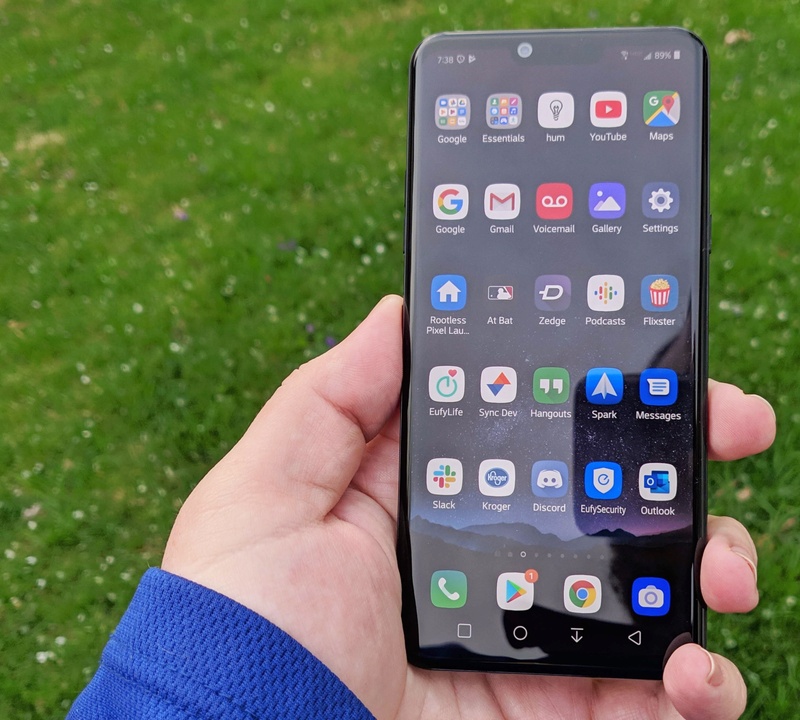 Going head to head against the Samsung Galaxy S10, the G8 feels familiar for anyone who has picked up an LG device in the past couple of years. An iterative design, same-y software and small improvements leave us wondering if this one is worth the upgrade if you’re currently using the LG G6 or G7. LG has long been known to make great hardware who sits a step behind the market leaders of Samsung and Apple. That hasn’t changed here. The LG G8 is a joy to use and feels very comfortable in the hand. It’s one of the few phones with a very large display that doesn’t hurt my hand in usage and I appreciate that. That’s not to say that there aren’t bezels here because there are, but LG just knows ergonomics. The rounded corners and sides of the device never feel out of place. That being said, I’ve seen some hate directed toward Samsung for not innovating on its current hardware design over several years. Well, what’s good for the goose is good for the gander. LG largely uses the same body as the LG G6 (2017) which means we have no hope of a noteworthy hardware refresh until at least 2020. I’m not saying LG needs to change it up but in the world of mobile, going multiple years with the same body style can hurt sales as consumers might assume there’s no overt reason to upgrade. Personally, I really enjoy LG’s design and the G8 fits perfectly into my palm. I hope LG continues down this path because the G series has always been one of my favorites, largely due to the industrial design. The curved 2.5D glass of the display melts into the frame of the body and the flat sides make the phone easy to handle despite being one of the most slippery devices out there. The G series makes the switch from IPS LCD to OLED display this year, something once reserved for the more expensive V family. Customers are really in for a treat here as LG has come a far way in figuring out mobile displays. Things have changed quite a bit since the disaster where early Google Pixel 2 XL units had LG taking it on the chin over lack of quality and terrible black levels. The experience is totally different here. LG’s displays might be slightly behind Samsung’s still but that’s with the benefit of holding the two displays side-by-side. I don’t think you’re going to walk out of a carrier store with your new phone and be disappointed at all. In fact, I think you’ll love it. Blacks are inky as you’d expect for an OLED display and colors seem to pop. I don’t run any kind of color tests because I feel that’s not true to a consumer experience but I can tell that LG did a fair bit of tuning to make this display as true to life as they can. Pictures look absolutely fantastic and the colors from plants and flowers really spring to life. I haven’t watched much video yet but the little bit I did looks great as well. Overall, it seems LG really stepped up its game with the G8’s display and if you were looking for just one reason to upgrade, this might be it. 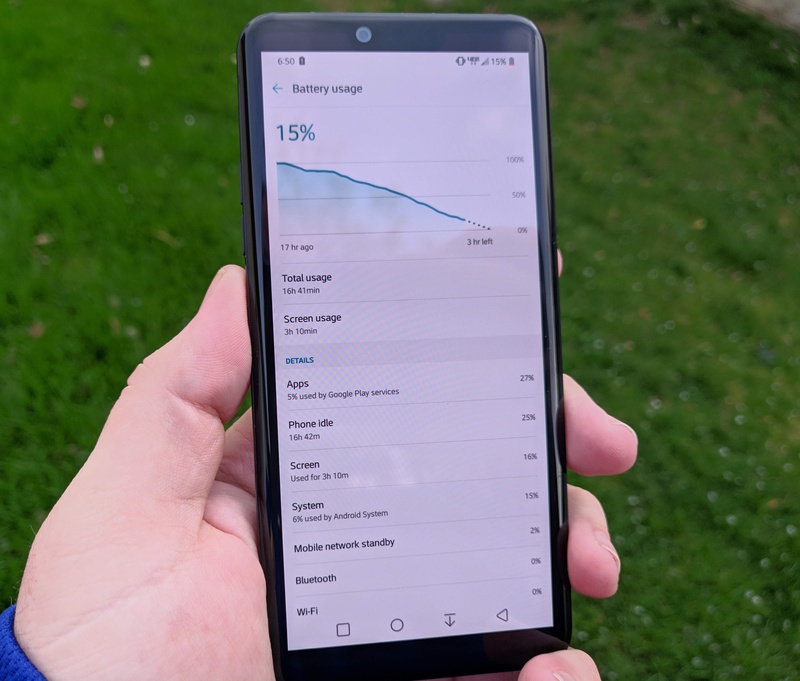 Battery life in our first 48 hours has been a bit below our expectations for a 2019 flagship. 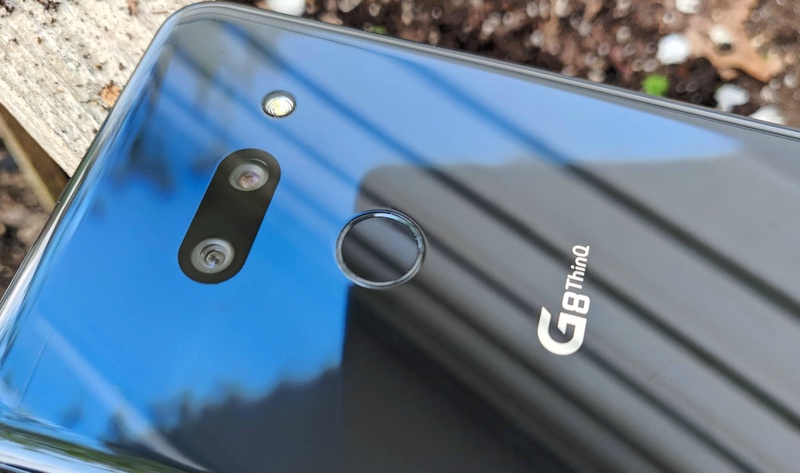 The G8 is powered by a Qualcomm Snapdragon 855 SoC which is a far more efficient chip than the LG G7’s SD845 from last year but we’re not still seeing great battery life. Again, take this with a grain of salt because we’ve only had the device for a few days, but we topped out at 4 hours of Screen on Time with plenty of background music streaming going on. With devices like the Galaxy S10, a phone consumers will directly compare it to, gets more than five hours of screen on time, it’s definitely disappointing. Luckily LG did include faster charging standards than Samsung (Quick Charge 3.0 vs. Quick Charge 2.0) and includes 9W wireless charging. I was able to throw the phone on the charger for about a half hour and power through the rest of my (very late) night. If you’re a power user, you’re probably already looking at phones like the Huawei Mate 20 Pro, OnePlus 6T or Samsung Note9 or Galaxy S10 Plus. I don’t think the LG G8 is going to give you any reason to consider it over those otherwise unless you sit it on a wireless charger all day. Maybe that’s a bit harsh but it’s not my first choice for an endurance champ. The LG G8 has a dual-lens setup on both the front and rear of the device, with the main camera setup employing a 12 MP f/1.5 optically stabilized sensor next to a 16MP f/1.9 ultrawide sensor. The front features an 8 MP f/1.7 sensor next to a time-of-flight sensor that allows the phone to perform all kinds of interesting tricks (more on that later). Shooting pictures on LG phones has always been a joy and I have much the same experience I always have. Whether that’s a good thing or not, I’m not quite sure. Sure, I love the LG camera app and the wide-angle lens, but I don’t know how much progress LG has truly made in the last few years. Other reviews have rightly pointed out that there can be quite a bit of grain and artifact in pictures taken on the G8. This is an issue that has plagued LG devices for some time. LG also made some interesting choices in the camera app like not being able to swipe through modes, instead switching over to the selfie camera whenever you swipe. While I see some of the logic here, it doesn’t feel well thought out and hurts usability. We’ll dive further into the camera in our full review. I’ve never been a fan of LG’s approach to software. I tend to find its software skin to be heavy-handed, offering little benefit over stock Android. The story is much the same on the LG G8, though this time we do see some new tricks that might interest you. Until you actually try to use them, that is. For some reason, LG has continued to stick by its out-of-the-box launcher with no app tray. I don’t know who advises the company to continue with this here in the West but I hope they cut it out. This might work for Asian audiences, but it’s an unpopular move here in the Americas with 100% of the people I’ve questioned about it. And that’s not just heavy smartphone users as they range from “how do I turn on a phone?” to outright Android experts. All of them pan the interface. The app tray is one of the largest single advantages Android has over iOS and LG hides it. Why? If I want all my apps on my home screen, I’ll leave them there when they install. Not only does the software experience not make a ton of sense, it’s laggy too. Double pressing the multitasking button top open my last app ranges anywhere between frustrating to just plain broken. There is, at minimum, a delay while the system tries to figure out what to do and sometimes it just ignores me altogether. I wish this was an outlier, but it just seems to be an example of the larger problems with the phone. Don’t get me wrong, 95% of the time the phone performs fine, but then it just doesn’t. It’s great until it isn’t and that’s absurdly frustrating. I’d imagine this is from poor optimization and can be fixed in future software updates, but it’s not a great look for LG right out of the gate. The Time-of-Flight sensor on the front of the phone lets users operate it hands-free to control functions like skipping songs and adjusting volume. This is a nice concept but I’ve yet to get it to work. I’m not saying I haven’t been able to get it to work reliably, I’m saying I can’t get it to work at all. If I want to change the volume, there are buttons on the side of the phone. If I want to change the song, I’ll press the skip button on my lock screen. I applaud LG for trying to be creative but these are gimmicks, and they work poorly at that. While this first impressions might come off overly harsh or negative, I think the LG G8 is a really solid phone. As I said at the outset, it’s probably the most comfortable in-hand phone on the market right now, even if it is pretty slippery. This comfort level cannot be overstated. Every time I pick up my OnePlus 6T or Samsung Galaxy S10+, I wish it was the LG G8 and that’s pretty impressive. I really enjoy the look and feel of the G8 right up until I actually start using the device. The software experience really holds the phone back from being a top-tier contender in my opinion. I’d love to see a software overhaul much in the same way Samsung recently radically changed its One UI experience. Focus on putting UI elements in the bottom half of the device with large text on top for easy actions and easy navigation. Get rid of the light color scheme and pastels for a darker and bolder aesthetic. Optimize your system so I stop having issues that remind me of Android Lollipop. There’s a ton of potential here because the LG G8 has outstanding specs, but LG holds the phone back with sub-par software. This is a familiar story for LG devices. We’ll bring your more details like more detailed battery numbers and camera samples in our full review. 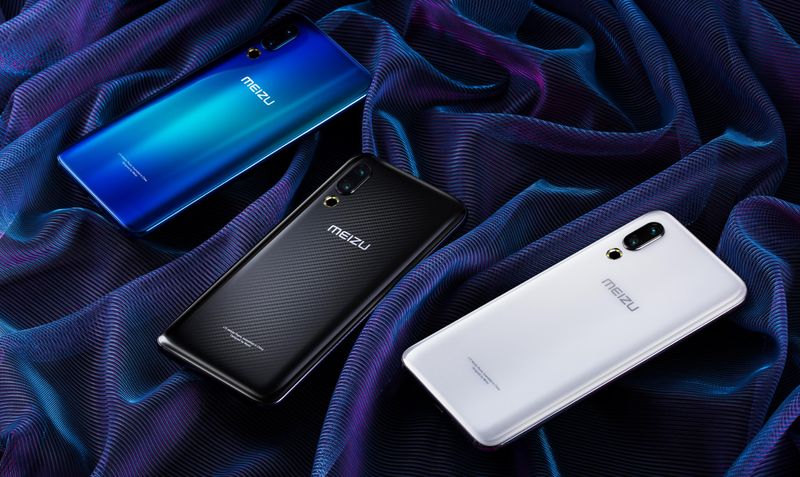 Meizu, the Chinese hardware manufacturer who sits just outside of the top ten global smartphone makers, has just announced its newest device, the 16s. Arriving on the 16th anniversary of the brand, the phone delivers upper-tier hardware with a wallet-friendly price. The new flagship phone has all the markings of a flagship experience, including a Qualcomm Snapdragon 855 processor, a 6.2-inch HD+ AMOLED display, and 6GB/8GB memory options. With 128GB and 256GB (China only) storage capacities, it’s right in line with any other high-end phone of 2019. Dig a bit deeper and you’ll notice there are other details to keep the phone relevant in the modern era. The in-display fingerprint sensor, ultra-thin bezels, and 48-megapixel camera are currently only found in the upper echelon of phones. Taking a closer look at the camera reveals it has an f/1.7 aperture with optical image stabilization. This is notable as other phones with such high megapixels do not ofen have the OIS feature. 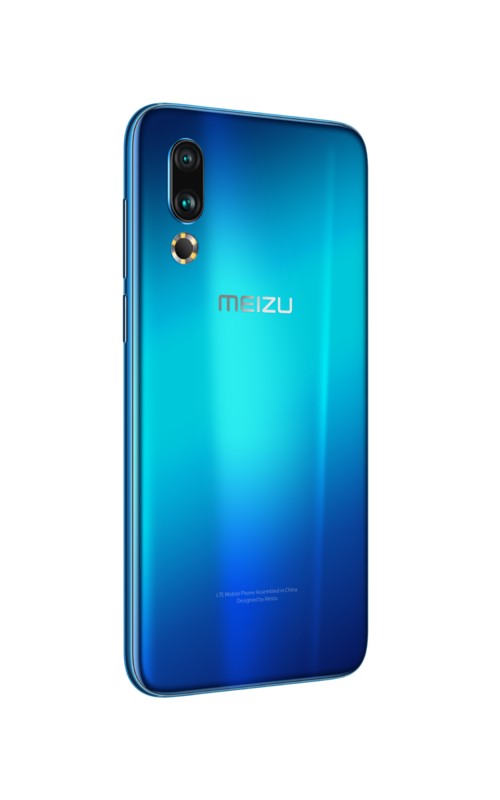 Additionally, the Meizu 16s also has a secondary f/2.6 20-megapixel camera for 3x lossless zoom shots. Powered by Android 9 Pie with a custom FlymeOS interface, the phone has plenty of AI smarts, something we’ve come to expect in devices. The Meizu 16s can recognize various scenes and adjust settings, capture incredible results in low-light conditions, and produce quality selfies with the front-facing 20-megapixel lens. Rounding out the specifications, the phone packs in a 3,600mAh battery with 24W fast charging, NFC, USB Type-C, notification light, and dual-SIM card slot. Noticeably absent, however, are a 3.5mm headphone jack and microSD expansion card slot. The Meizu 16s will soon be available through pre-order for as low as 3198 RMB (~ $475 USD) with shipping expected in five days. Choose from Phantom Blue, Carbon Black, and Pearl White color options. 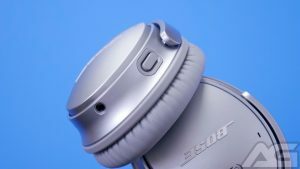 If you’ve been in the market for a pair of Google Assistant headphones, you’ve undoubtedly come across these two from Bose and JBL. 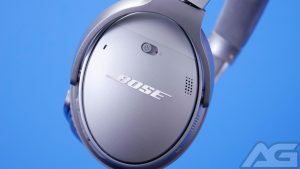 There aren’t many choices for Google Assistant headphones currently, and the Bose QuietComfort 35 II and JBL Everest 710GA are a couple of the only ones that offer the over the ear design. Take a look below as we put these two head to head to see which one is worth your hard earned dollars. Both of these headphones are primarily made from plastic, but that doesn’t mean they are the same. While the JBL 710GA offers a sturdy build that feels like it can take some abuse, it just felt a little lacking in comparison. 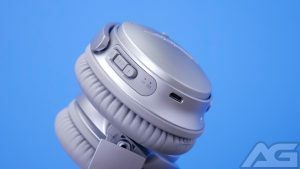 The QC 35 II felt more solid in my hands and Bose paid more attention to small details, such as all the little metal screws holding it together. In the end, this might all be unnecessary, but it gave the appearance that the Bose were built to last. Style is subjective, and there isn’t much you can do when it comes to the design of headphones. Regardless, I have to give the edge to the Bose QC 35 II when it comes to style. When compared to the JBL Everest 710GA, the QC 35 II offers a sleeker design, which is less bulky and just looks nicer on your head. Both pairs are similar in weight and offer plenty of padding for the top of your head, and neither will squeeze your head too tightly. If you’re going to be wearing them for long periods of time, both are plenty of comfortable, but like all closed back headphones you can expect your ears to get a little warm. In the end, I still had to give Bose the win for comfort overall. Despite having ample padding the JBL 710GA didn’t fit quite as snug or feel as soft when compared to the QC 35 II. That doesn’t mean the JBL 710GA were uncomfortable though, not at all. 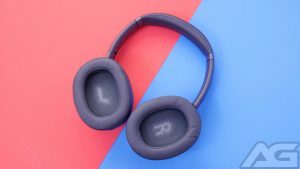 I found the JBL 710GA offered a great fit on my head, but the leather was not as soft and supple as the QC 35 II. When it comes to the buttons and controls, I again found in favor of the Bose QC 35 II. The buttons on the QC 35 II are easier to distinguish by feel alone and are more satisfying to push. Plus, you can reassign the Google Assistant button on the QC 35 II to Alexa or to control the noise cancellation settings. While on the other hand, the JBL 710GA uses a touch-sensitive button for Google Assistant, which is easy to trigger accidentally and cannot be reassigned or disabled. When it comes to headphones, sound quality is one of the most important factors. Neither the JBL 710GA or the Bose QC 35 II disappoint in this area. However, the Bose QC 35 II definitely widens the gap in this category by providing better sound and active noise cancellation. When listening to music, I found the Bose QC 35 II offered clearer highs with a wider soundstage and was generally more balanced and neutral. The QC 35 II made it easier to hear the small details in song and to pick out individual instruments because of better sound separation. The JBL 710GA on the other hand, were a little more bass-forward, but still not bass heavy in comparison. They weren’t able to offer the clarity of the QC 35 II but were still able to provide a good listening experience. The highs were a little lower, but I still found the music to be clear and it offered a pleasurable way to enjoy your music. In the end, I think if you never heard the QC 35 II you wouldn’t be disappointed with the sound on the JBL 710GA. 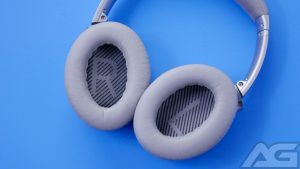 The biggest difference would come from the lack of active noise cancellation with the 710GA. The Bose QuietComfort line has long been famous for its ANC and for good reason, this can make a big difference if you listen to music in a noisy environment. When it comes to battery life between the two, this is the one category the JBL 710GA takes the lead. Without needing additional power for active noise cancellation, the 710GA are able to best the QC 35 II by offering up to 25 hours of playback. While in contrast, the Bose QC 35 II are only able to offer up to 20 hours of playback time, which isn’t likely to make much of a difference. That’s still plenty to get you through some of the longest flights, and if you’re a frequent traveler, you’re probably not worried about losing five hours of battery life for the added benefits of ANC. After comparing these two pairs of headphones, there is no question, the Bose QC 35 II wins hands down. It offers the best build, comfort, sound quality, and experience overall. However, all of that comes at a pretty high price with the QC 35 II starting at $350. While the JBL Everest 710GA might not be as premium, that doesn’t mean it is a bad pair of headphones. 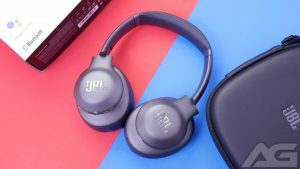 The JBL 710GA is a solid midrange pair of headphones that gives you Google Assistant capabilities without breaking the bank. They can often be found for $150 online, which is $200 less than the QC 35 II, making them a great alternative if you’re on a budget.